View More In Jewelry Organizers - Page 10. Earring Holder Dimensions: 7.5" tall x 11" wide x 3/4" offset from the wall. Holds a lot of earrings for the space it occupies. 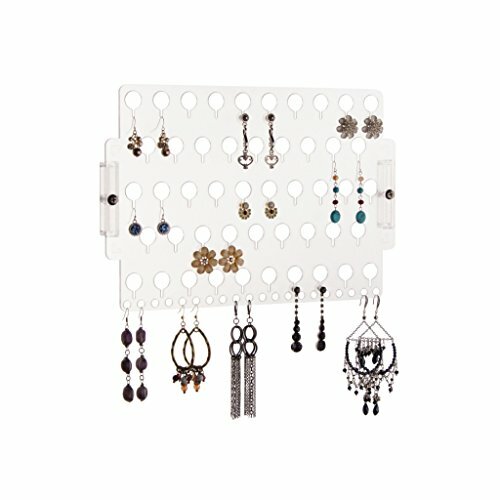 Earring Storage Rack Capacity: Displays up to 34 pairs of earrings. Created for small to medium sized earrings, however long earrings can hang on the bottom row.